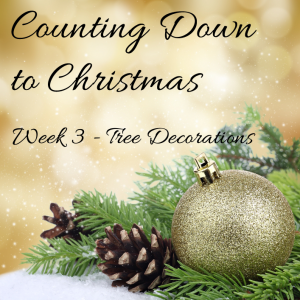 Welcome to week 3 of Counting Down to Christmas. I wanted to make some home made presents this year, and I know I would love to be given a little bag of biscuits or a tree decoration, so we had a practice. We have tried LOTS of recipes lately and fiddled around with them, but finally settled on this one. It is amazing! Icing pens and little gold balls, or whatever you fancy really. 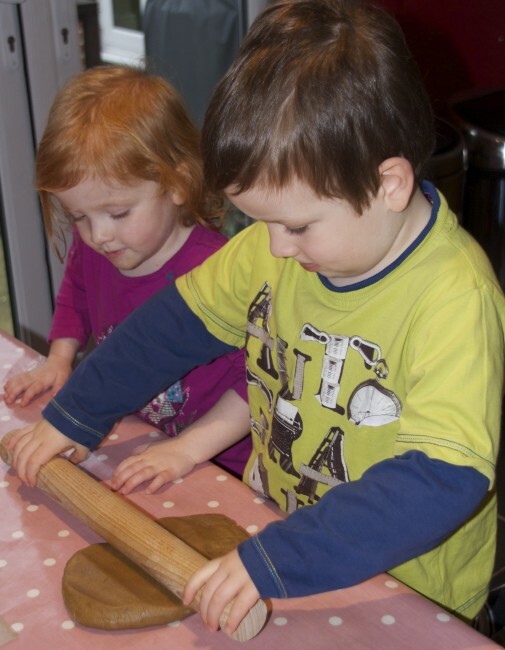 Put the sugar, syrup, treacle ginger and cinnamon in a pan and bring to the boil, with 1 table spoon of water. Remove from the heat and add the butter. Stir in the flour slowly and knead until you have a nice smooth dough. Cover it up and leave somewhere cool for half an hour. 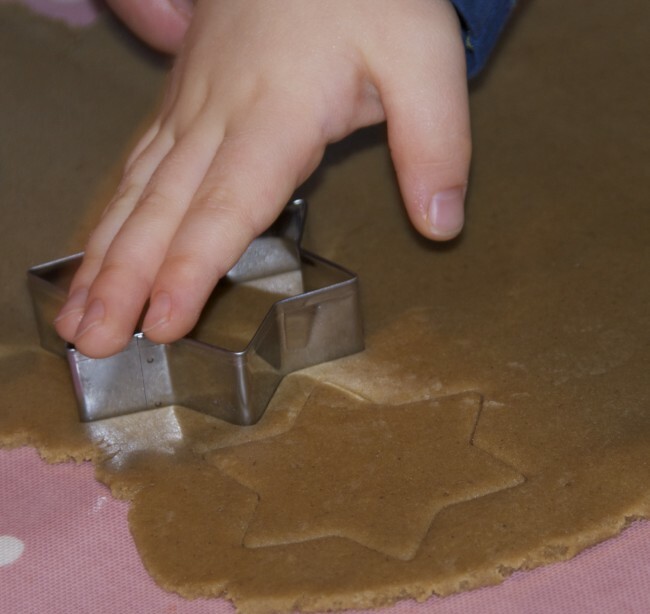 Roll out the dough and use cookie cutters to make Christmas shapes. We used a straw to make holes at the top to thread the ribbon through later. Bake for 10-15 minutes at 180 degrees. 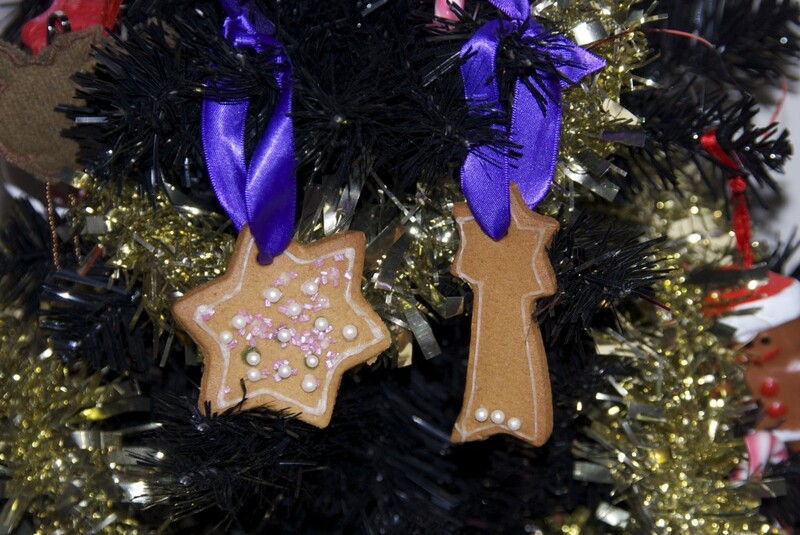 This is a blog hop, we’d love to see what decorations you’ve made, so please link up below. Don’t forget to check out the other cohosts projects too. 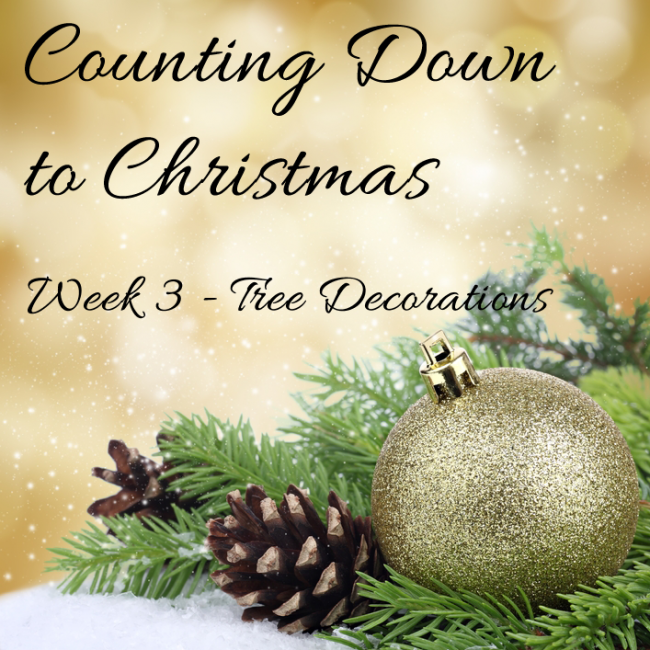 Don’t forget to check out week 1 and week 2 for more Christmas inspiration. Also linked to Festive Friday. 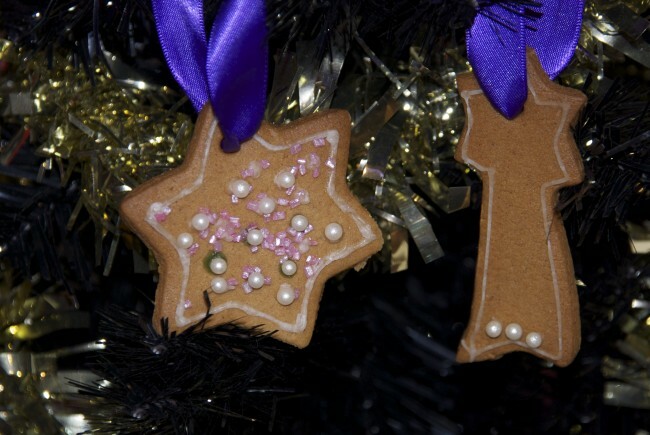 These look so fantastic, I must try making gingerbread with The Boy this year, he’ll love it. Lovely! I’ll bake some closer to Christmas, as they won’t last before then, if I make any now. Yes, we are a little early! Chris at Thinly Spread recently posted..Festive Friday – Elf on the Shelf! Great idea to hang them on the tree! That look lovely and like they had a lot of fun.